Dr. Fernandez-Mirza joins our team as a general practitioner from a diverse background, with training in General Surgery. She attended St. Matthew’s University School of Medicine and after several medical missions abroad to Nigeria, Dominica and Bolivia, she discovered her love of medicine. She began her residency training at Brown University School of Medicine in Providence, Rhode Island and completed it at University of South Florida. During the course of residency, she earned numerous awards and recognitions to include Humanism and Excellence in Teaching, induction into the Gold Humanism Honor Society, Thoracic Advanced Techniques in VATS from Brigham & Women’s Hospital, and was the recipient of the Society of Thoracic Surgeon Scholarship. 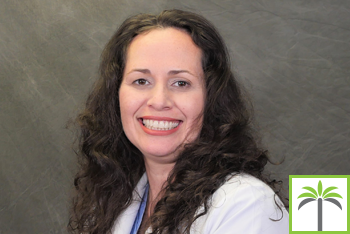 Dr. Fernandez-Mirza strives to provide a caring and humanely compassionate environment for the medical needs of her patients. She approaches medicine and surgery with enthusiasm on its constant evolution of improvement. She is committed to providing quality healthcare to her patients and seeks high standards for their care. She is fluent in English and Spanish.